It is arguably Napa’s most famous winery. Yet Screaming Eagle is notoriously discreet, unmarked on maps, and rarely grants interviews or tastings. JEANNIE CHO LEE gains exclusive access to the revered estate and its unassuming winemaker Nick Gislason. The first time I set eyes on Nick Gislason, I gave him a cursory nod and quickly looked away to seek out my real target. Seeing no one else around, I was about to ask this scruffy young man where I could find the winemaker. Fortunately, before I did so, he held out his hand. “Hi there. I’m Nick Gislason. Nice to meet you.” With his shaggy brown hair, 1970s sideburns, black-rimmed glasses and youthful grin, Gislason looks more like a nerdy science undergraduate than the craftsman behind the most expensive and sought-after wine in America. Sure enough, he boasts a Master of Science degree – in viticulture and enology – gained at the University of California, Davis (UCD). But his path to the world of winemaking can be traced back further, through his quirky childhood. While his peers were playing baseball or chasing girls, Gislason’s focus lay on less predictable pursuits. As a precocious 12-year-old, he convinced his father to support his interest in pyrotechnics by allowing him to apprentice with two experienced firework-makers on Lopez Island in Washington state. By the age of 21, Gislason had taken over as lead pyrotechnician for the Lopez Island Fourth of July celebrations, complete with the only Japanese-style fireworks show on the West Coast. Pyrotechnics was a pursuit typical of his creative instinct, a love of working with his hands. At 15, Gislason began brewing his own beer, and went on to receive a diploma in brewing science, engineering and packaging technology. Then, while still a teenager, he laid drainpipes, picked grapes and cleaned barrels at a friend’s winery. The childlike enthusiasm remains evident as he describes the wines under his care. “I am looking for electric cassis and freshness,” he explains with a big smile. “When I first tasted the 2007, it was energy and electricity – and that ozone, electric-cassis character – love it! That’s the attribute in all the [Screaming Eagle] vintages, this sense of vibrancy and connection.” Even as he becomes excited, Gislason speaks slowly, in measured terms. No matter that he uses obscure, curious descriptions like “ozone” and “electric cassis”. What is apparent is that while he allows the wine to move him and is attuned to its energy, he has a well-defined vision of its makeup. It was in 1986, when Gislason was a toddler, that Jean Phillips, a former real-estate agent, purchased the 23-hectare (about 57-acre) prime Oakville vineyard, mostly as an investment. There was a mixture of varieties planted at the time and the grapes were sold to local wineries. Then, in 1992, Phillips decided to make her own wine using the best Cabernet Sauvignon plot in the heart of the vineyard, and called it Screaming Eagle. The volume was small – for the first several vintages, fewer than 200 cases were produced. After Robert Parker gave this unknown wine 99 points in 1995, Phillips realised she had something special. She hired Heidi Peterson Barrett (see The Women Who Rule Napa, page 70) and the vineyard was replanted with Cabernet Sauvignon, Merlot and Cabernet Franc. By 1997, Screaming Eagle was on all serious collectors’ must-have lists. The problem was, there was not enough to go around. From the mid-1990s to 2003, production rose, but only to about 500 cases. Demand shot up and so did the price, and Screaming Eagle was catapulted to the top of the list of the world’s most expensive young wines. In 2006, 20 years after Phillips purchased the vineyard, she sold it to Charles Banks and Stan Kroenke. With new owners came a new era and new talent, some of the best in the business: Andy Erickson as winemaker and David Abreu as vineyard manager. In 2009, however, the partnership broke up, leaving Kroenke as the sole owner. Just a year later, Erickson left, leaving the then 29-year-old Gislason in charge of winemaking. Armand de Maigret, a transported Frenchman formerly with Jonata, Kroenke’s other wine venture, joined in the same year and runs the estate as discreetly and precisely as his predecessors. One of the changes being slowly implemented today is the expansion of the vineyard. The move started with the replanting of 22 acres under Abreu in 2006, along with the introduction of Second Flight, made from young vines, a good proportion of Merlot, and grapes that are good but not quite good enough for Screaming Eagle. The approach is similar to that of Bordeaux, where stricter selection is possible because of the existence of a second wine. 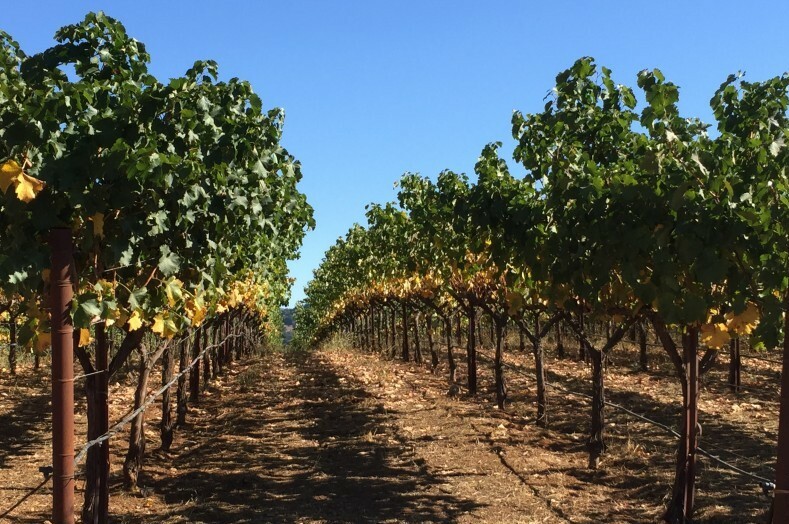 As new plantings mature and as vines produce higher quality grapes, the theory is that the quantity of Screaming Eagle can rise without any noticeable effect on quality. Gislason continues to be the lead pyro-technician for the Lopez Island Fourth of July celebrations, returning to Washington every summer to teach others about this special craft. Little do they know that they are learning from a master. In March 2015, I tasted seven vintages of Screaming Eagle and seven vintages of Second Flight – a rare privilege, with the lineup representing a considerable sum. All the wines were decanted for two hours before tasting. Winemaker Nick Gislason and estate manager Armand de Maigret joined me in the estate’s tasting room. I started with Second Flight, moving from the debut release, the 2006, to the latest vintage, the 2012. The 2007 and 2009 stood out as my top two vintages from this flight, the former for its lifted, precise flavors and the latter for its depth and sheer complexity. There were no weak wines in the seven vintages and all have excellent aging potential. The 2010 and younger vintages need time, but the others can be enjoyed now for their primary, intense, youthful characteristics. Screaming Eagle is in a league of its own. There is no other Californian wine that conveys a sense of place with such quiet confidence, seamlessness, harmony and subtlety. This is a Napa wine with grace, elegance and restraint – it does not need power and density; it possesses innate intensity and depth. All the vintages maintain this high pitch, a note that resonates from beginning to end, and reverberates on its long finish. Very rarely do I find a 100-point wine but I found it in the 2010; a wine of such sheer beauty that it becomes an emotional experience. It is too young to know for certain, but the 2012 may follow in its footsteps. Right now, it is tightly wound and hard to fathom; it is a wine I would love to revisit with several more years in bottle. I have long been a defender of Screaming Eagle – it has as many critics as fans, which is the price of fame. Those who have tried it only once, or taken a sip from someone else’s glass, often instinctively dismiss it as too expensive. But in terms of pure quality, it is beyond compare. Often in tastings in Hong Kong, Screaming Eagle is the ‘pirate wine’ placed in a lineup of top Pomerols or first growths. It fools me half the time, especially when tasted blind next to Le Pin or Pétrus. It is to be savored and celebrated as one of the best Cabernet Sauvignon-based wines from the United States. A beautiful vintage that brings together the best of the estate’s complexity, elegance and depth. Seamless from beginning to end, starting off with layers of gorgeous, intense flavors that are in balance with firm, velvety tannins and wonderful freshness. Flavors unfold gently, without obvious power or opulence, offering layers of mocha, incense, blackberry and savory spices. An incredibly long finish. Perfect. I love this vintage, which is delicate and fine with great finesse. Quite different from the 2007, which is more generous and opulent, the 2008 offers restraint and greater purity and precision of flavors. This is a layered, detailed Screaming Eagle that is one of the best of the decade. The freshness and ripe, firm tannins suggest a long life ahead – it will age well for decades. A gracious, generous (reflecting its warm weather conditions) Screaming Eagle that can be approached now despite its youth. There is an array of spices on the nose – thyme, rosemary and sage – followed by mocha and plum on a palate that boasts supple tannins. As with all Screaming Eagles, there is a freshness here despite the ripe flavors. A persistent finish. Should easily keep for a few decades. Subtle and restrained on the nose with a palate that is equally shy. The wine has the structure and depth for long-term aging, but right now there are few strong flavors to detect and little expression. However, the texture is beautiful, with velvety tannins, good concentration and a very long finish. Needs at least five to six years before it is ready to be enjoyed. Right now the 2009 is quite shy, with a subtle nose that is barely expressing more than just a hint of cocoa and plum. The palate offers generous tannins and an impressive grippy intensity. There are layers of flavors wrapped around persistent, firm tannins that are overpowering it at the moment. It has a long finish. Wait until at least 2017 before approaching. The nose is reminiscent of a fine classed growth from Margaux, with hints of fresh herbs, cedar, violets and cassis. The palate is quite powerful, with dense, velvety tannins and nice freshness. This is a wonderful Bordeaux-like Cabernet that is elegant and delicately composed. Should age well over the next decade. This is a reserved Screaming Eagle with notes of savory herbs and rosemary on the nose, and firm, velvety tannins on the palate. The overall feel of the wine is round, supple and not overly expressive at this stage of its evolution, despite decanting. Still incredibly youthful and may be going through an awkward/sleeping period. Given its structure, though, it has a long life ahead. 82 percent Cabernet Sauvignon and 18 percent Merlot. One of the most impressive Second Flights to date, this wine comes close to Screaming Eagle in quality and style. Delicate aromatics of violets, cedar, rosemary and cassis on the nose. On the palate it is layered and beautiful with an array of flavors that are gentle yet persistent. The wine has great depth and length. 59 percent Cabernet Sauvignon, 32 percent Merlot and nine percent Cabernet Franc. An excellent second vintage of Second Flight with intense aromatics of sage and spices. Lifted and fresh on the palate with great precision – layers of dark berries with violets and cocoa. Wonderful flavors are balanced by caressing tannins. 59 percent Cabernet Sauvignon and 41 percent Merlot. Full-bodied and intense with velvety tannins, and notes of cocoa, mocha and nutmeg. Opulent, with immense concentration, this will need at least five years in bottle before showing its best. Due for release to the market in October this year. Denser than previous vintages and quite closed at the moment. Pure and subtle with savory, earthy flavors dominated by structured tannins. Still youthful with great density and power. 61 percent Cabernet Sauvignon, 26 percent Merlot and 13 percent Cabernet Franc. Incredibly floral, with roses, jasmine and violets that jump out of the glass. The color is a fairly deep ruby, with wonderful sage, rosemary and herbal flavors on the palate. A delicious wine with firm tannins and freshness. Good potential to age and evolve over the next decade or more. 54 percent Merlot, 42 percent Cabernet Sauvignon, four percent Cabernet Franc. Generous, round and balanced, with opulent tannins. Lifted flavors of sage, rosemary and herbs on the palate with plum and sweet spices on the finish. Balanced. Delicious to drink now with nice depth and a fairly long finish. Slightly less precision than in 2007. The first commercially available vintage of Second Flight. Subtle aromatics of cocoa, plum and blackberry with a fresh, lifted palate. A round, full-bodied red composed of 33 percent Merlot and 67 percent Cabernet Sauvignon. Still very youthful, this is delicious and sumptuous now with hardly any sign of evolution. Should keep well for another 10 years.